ArtistYear is the first national AmeriCorps organization that enables artists to commit to a year of service to their country. WHAT IS THE 2019 APPLICATION TIMELINE? We have a rolling application process for Colorado, Philadelphia, and Queens NYC, through June 2019. *ArtistYear offers financial waivers for current long-term (a year or more) AmeriCorps/VISTA or Peace Corps volunteers, and active duty members of our U.S. Armed Forces. Please contact us regarding full or partial fee waivers based on demonstrated financial need. Please send a request to our email at least two weeks before your application is due. Our mission is to develop, support, and place recent higher-education arts graduates across artistic disciplines at low-income schools as dedicated teaching artists, to ensure every underserved student in America has arts education through a national service arts corps. ArtistYear is an organization born out of the traditions of service, creative excellence and expression, and obligation toward our fellow citizens. ArtistYear has leveraged lessons learned from a range of national-service and arts education programs to marshal a corps of Teaching Artists, ArtistYear AmeriCorps Fellows, to enhance and expand arts education in Title I schools. Fellows use arts education as a tool to engage low-income students more deeply in the life of their school and community, yielding increases in school attendance, improvements in student attitudes towards their peers, school, and neighborhoods, and for themselves as 21st century learners, artists, and contributing citizens. Fellows also support schools in becoming increasingly "arts-rich" through the life of the partnership, working with certified arts specialists to bolster a school's art department and curricular goals, building parent and faculty support for expanded arts, and supporting capacity-building efforts such as community art partnership cultivation. Through these activities and weekly professional development training, ArtistYear AmeriCorps Fellows develop as skilled teaching artists, effective leaders, engaged citizen-artists, and active participants in our Democracy. ArtistYear has leveraged lessons learned from a range of national-service and arts education programs to marshal a corps of Teaching Artists, ArtistYear AmeriCorps Fellows, to enhance and expand arts education in Title I schools while nurturing a new generation of citizen-artists. ArtistYear AmeriCorps Fellows: Cultivating and improving leadership, community, and workforce skills to be competitive for jobs and engaged citizen-artists. WHAT IS A FELLOW'S ROLE AND RESPONSIBILITIES? Designing and teaching standards-based aligned arts education to disadvantaged youth, that inspires active youth citizens and supports school culture and goals, as well as ArtistYear’s standards. Preparing and executing high quality, student-centered gallery openings, performances and/or community arts events that highlight student process and achievement, enhance school climate, and engage the broader community. Regular communication, meetings, and collaboration with parents, school staff members, and ArtistYear leadership. Assisting school partner faculty members as requested; stepping in as an emergency substitute art or music teacher at a school site if requested. Completing required documentation and records for school site and ArtistYear, such as daily virtual standup participation, blogging responsibilities, timekeeping, assessment protocols, and lesson plans. Full attendance and participation in all required professional development and training, including ArtistYear’s intensive Orientation & Training Institute during late summer. Receiving and implementing regular and supportive performance feedback from ArtistYear leadership and/or a school site supervisor. An ArtistYear AmeriCorps Fellow is dedicated to the highest level of artistic excellence, possesses a deep commitment to service, and believes in the artistic potential of every child. Fellows represent all artistic disciplines. They are actors, animators, art historians, cellists, composers, comics, creative writers, dancers, filmmakers, graphic designers, guitarists, illustrators, jazz musicians, photographers, playwrights, poets, recording engineers, screenwriters, sculptors, singers, storytellers, violinists, and visual artists.What are the requirements to apply? A graduate of an associate, undergraduate or graduate degree program. You must have your bachelor’s degree from an accredited college or university no later than July 15, 2019. Highly skilled in their artistic craft, holding a degree in an artistic field. For example: Art therapy, creative writing, dance, digital media, fashion design, fine arts, piano, photography, screenwriting, filmmaking, music composition, music education, theatre, viola, etc. A U.S. citizen, national, or legal resident. Able to dedicate 12 months to a full-time national service year. Able to successfully pass all necessary background checks and clearances for working with youth. WHAT ARE THE FELLOW BENEFITS? A monthly living stipend of $1,750. A stipend to cover health insurance if not already covered by an existing policy. An educational award of $5,920 following successful completion of your service year. Federal school loan forbearance during your ArtistYear. Regular professional development/training opportunities in classroom management, child development, teaching artistry, creativity, arts education, and civic engagement. Mentoring on-site in your school assignment and through off-site sessions. Opportunities to network and collaborate with a large range of stakeholders, including local community arts leaders, school district leadership, service year personnel, alumni, and more. Exposure to and experience with critical 21st-Century artist skills, including non-profit strategy; leadership, teaching, advocacy, problem solving and communication skills, and intensive experience in community arts education. A strong network of fellow ArtistYear colleagues and friends who will offer support, ideas, and collaboration both during your service year and beyond. An opportunity to use your art to make a difference in the lives of children and schools. *Please note, the number of Fellowship positions ArtistYear may offer in each location are dependent on funding. Founded and headquartered in Philadelphia, ArtistYear became an independent 501(c)3 in 2016, thanks to a generous gift from the late H. F. “Gerry” Lenfest. It launched a pilot in 2016-2017, with 9 Fellows serving over 1,000 Title I Philadelphia students in partnership with the School District of Philadelphia, higher-education partners Curtis Institute of Music and Drexel University, and community and national service partners such as Service Year Alliance. In Summer 2017, ArtistYear was awarded $1.45 million in AmeriCorps funding over three years, the first-ever national organization dedicated to service through the arts to receive AmeriCorps funding and recognition from the Corporation for National and Community Service (CNCS), the federal agency that oversees AmeriCorps and national volunteering initiatives. During the 2017-2018 school year, 25 ArtistYear AmeriCorps Fellows served 5,000 non-duplicated students across Philadelphia, NYC’s Borough of Queens, and rural Colorado, delivering 42,000 hours of arts instruction in 24 low-income schools. In Summer 2018, ArtistYear received an additional $1.5 million in Commonwealth of Pennsylvania AmeriCorps funding over three years from PennSERVE, Pennsylvania’s service commission. Thanks to the new state AmeriCorps investment, along with the federal funding and private support, in the 2018-2019 school year, 55 ArtistYear AmeriCorps Fellows are serving as full-time teaching-artists alongside established educators, delivering 93,000 hours of arts instruction to 11,000 non-duplicated students at least two-times per-week, in 51 federally-designated Title I schools. ArtistYear is nearly tripling its service in Philadelphia, doubling in New York City’s Borough of Queens, and continuing its commitment in the Roaring Fork Valley of Colorado. - An annual living stipend. - Health insurance stipend (if not already covered). - Loan forbearance on eligible loans - Education award after service - Professional development, conference attendance and training opportunities around areas such as: arts education, non-profit strategy, leadership, social justice, pedagogy, community-building, advocacy, problem solving, communication skills, civic engagement, writing, creativity and child development. - Mentoring from seasoned community arts educators. - Opportunities to network, locally and nationally. - Life-long ArtistYear colleagues and friends. - An opportunity to use your art to make a difference in the lives of children and schools. - Growth as an artist and citizen. Highly skilled in their artistic craft, holding a degree in a performing or visual arts field (or related field). For example: Art therapy, dance, fashion design, fine arts, piano, photography, screenwriting, filmmaking, music composition, music education, viola, etc. 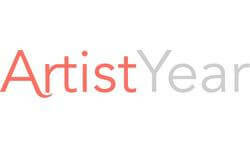 We will share your profile and application with ArtistYear. Still interested in this listing? Note: By applying to this organization, your profile will automatically become public. By applying to this organization, your profile will automatically become public. Your application was saved successfully. You can access it at anytime from your Drafts page. If you close now you will lose the information you have entered. Would you like to save a draft for later? You are almost ready to apply! Before we can tell ArtistYear to look at your profile and review your application, we need a few more details about you.